Altaia is bred by Michele van Kasteren, whose stable is aimed at breeding excellent endurance horses. Her mother Atmis comes from an old tribe and is a direct descendant of the famous Khalif. 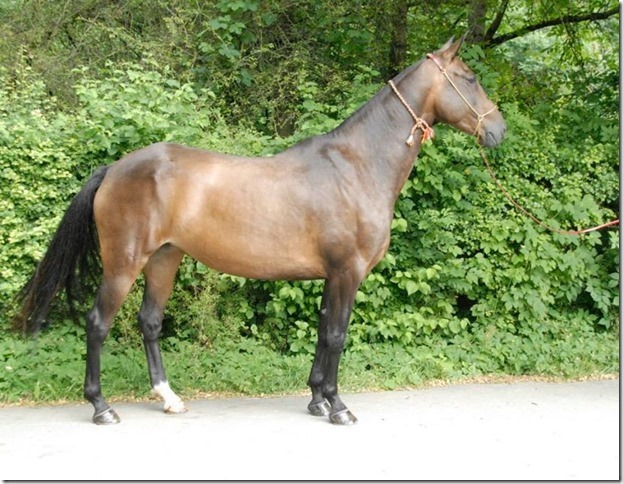 Her father Smele Leylek is from Sugun, a horse that has excelled in both eventing and endurance. 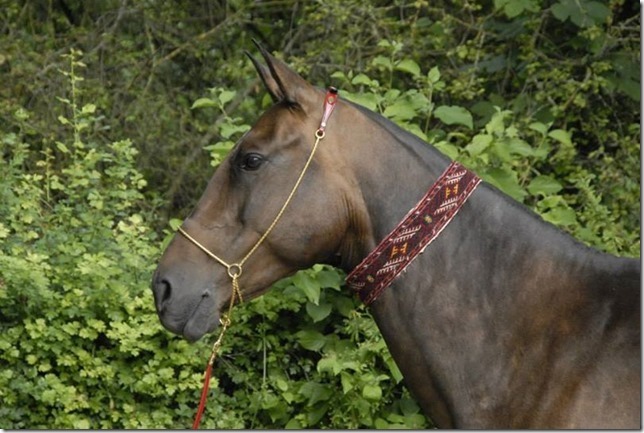 Smeles mother’s father is Kambar, the well known golden akhal teke. His picture is widely found on the Internet. Altaia was broken in at the age of four but has only started her first endurance ride in 2013. Then she came to us. She is ridden here almost daily both by adults and children (and occasionally by myself) and is completely reliable.